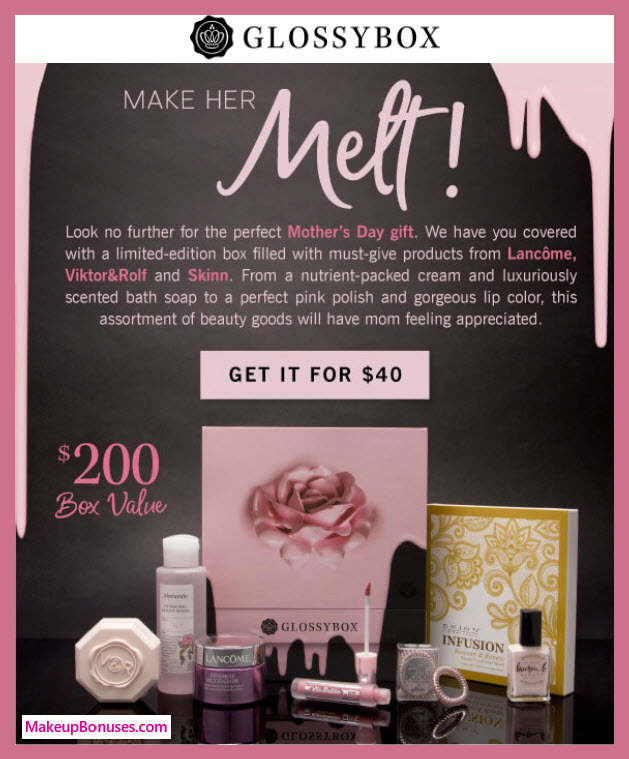 Make Mom feel special this year on Mother’s Day (Sunday, May 13, 2018) with a beauty gift! 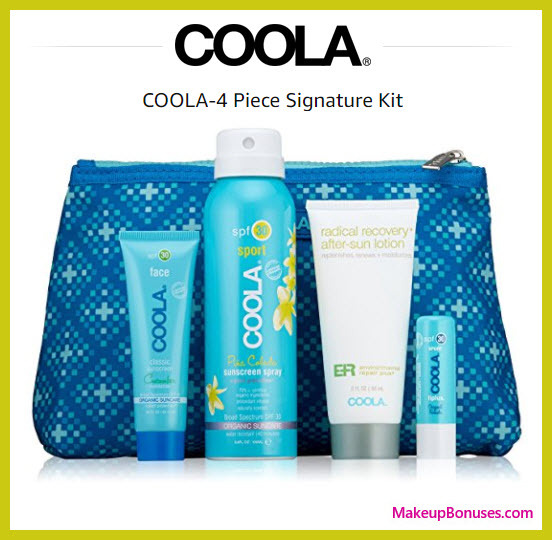 Check out these gift ideas that feature skincare, makeup, cosmetic tools, and bath & body items. Smart Profile Uplift targets 15 signs of aging: facial firmness, facial sagging, lifted cheek appearance, facial wrinkles, cheek wrinkles, facial fine lines, forehead fine lines, cheek fine lines, lip area fine lines, facial smoothness, facial radiance, neck sagging, neck folds, neck smoothness, and décolletage radiance. In the Greek town of Kozani, lush Krocus flowers bloom only once per year and produce the highest quality organic saffron in the world – a potent spice more precious than gold. 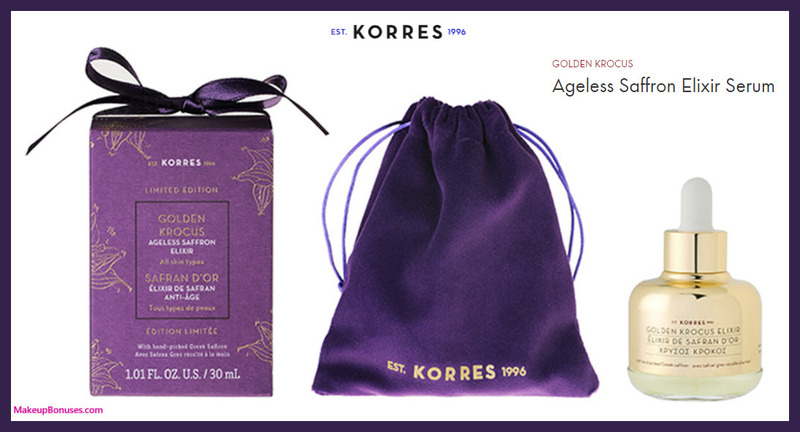 KORRES extracts the full power of this saffron at its maximum antioxidant levels and combines it with beta-glucans, peptides, and amino acids to create this elixir that strengthens skin’s resistance to daily damage. A complex of amino acids, polysaccharides, & copper boosts collagen production to help firm and lift skin while reducing the appearance of wrinkles. Low molecular weight hyaluronic acid easily and deeply penetrates the skin to smooth, plump, and brighten. Experience a few golden drops every day for ageless, youthful, glowing skin. A limited-edition lip trio featuring a universally-flattering soft berry shade with plum undertones and a satin finish. The moisturizing formula is buildable and allows for a sheer wash of color to lips with one swipe or layered for a full-coverage look. Inspired by the Japanese Beautyberry, a botanical prized for its richly colored berries and packed with antioxidants. Silk and Japanese Beautyberry extracts nourish and hydrate lips, while 23-karat gold adds a touch of glamour. Beautyberry Camellia Lip Balm 7g – luxurious lip balm appears as a deceptively deep purple in the jar, but when applied lends a gorgeous berry tint that is the perfect wash of color. Rich in Camellia Oil, it leaves lips looking plump and nourished with a subtle shine. Have a little fun with this specially outfitted, one-of-a-kind boombox design eyeshadow palette with a mirror. This cheeky tribute to days of great new music and unique style is both fun and functional. 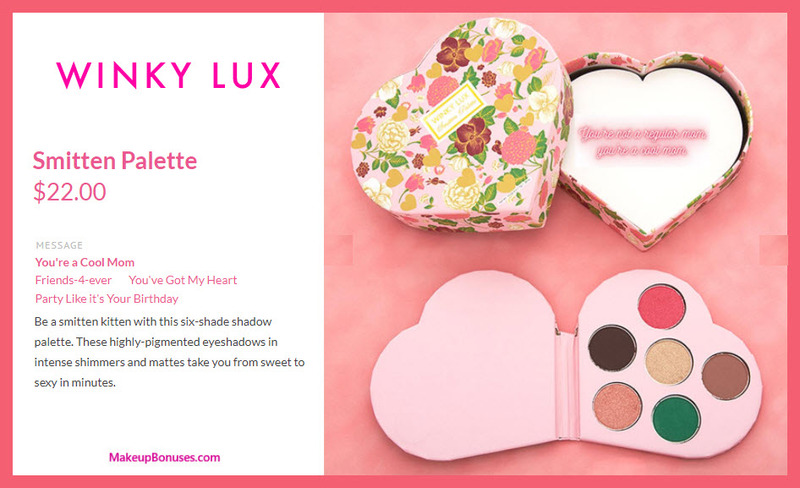 Palette includes 29 limited edition shades with textures from Lustre to Satin and Matte to Veluxe Pearl to create a variety of looks. Ultimate Multi-Performance Day Cream Broad Spectrum SPF 25 Skin looks smoother and more even with diminished wrinkles. 1.7 oz. net wt. Vitamin C Brightening Serum In two weeks, skin looks brighter, smoother and clearer. 1 fl. oz. Gift Bag 9.75” x 6.75” W, polyester with grosgrain ribbon. Create a fresh-faced look in minutes with great value on Mally’s Carefree Color kit. Perfect Prep Neutralizing Primer glides on to reduce the look of fine lines and wrinkles while neutralizing discoloration. Evercolor Shadow Stick Extra enhances the eyes in just a few, easy strokes. Blushing Brilliance Blush & Highlighter Wand provides a sheer flush of color and a soft, lit-from-within radiance in a convenient stick. 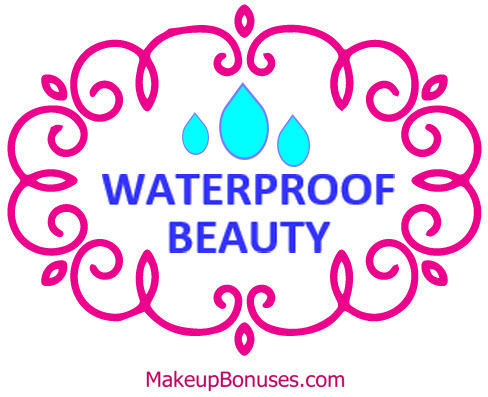 Creates a natural look with easy to use products! 80% of your purchase price is donated to the Cancer and Careers charity! If what Mom needs most is a little break and some self-care, treat her to a gift card from Spa Week. Your gift can be redeemed for massages and spa treatments at 9,000+ locations that accept SpaWeek.com Gift Cards. 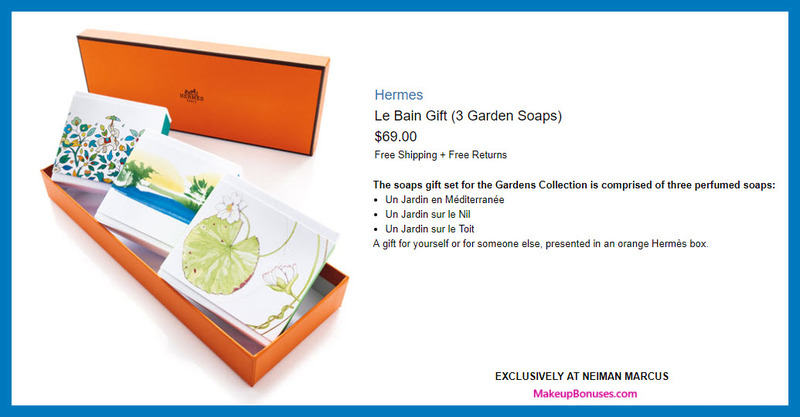 Click to browse STORE offers at Spa Week. 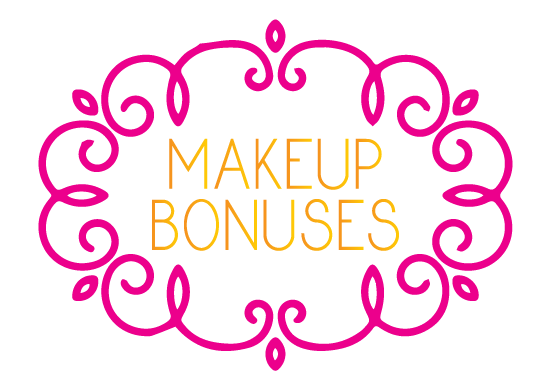 Gorgeous Christmas Gifts Ideas – Beauty Vaults Edition!